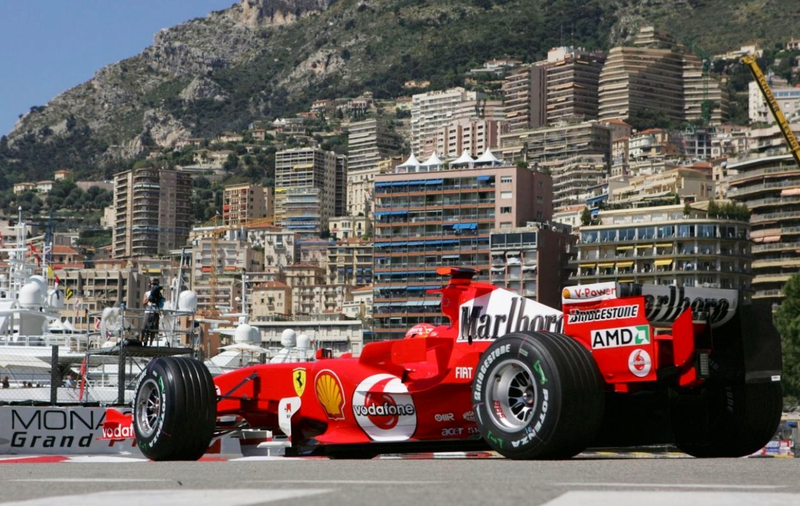 The Ferrari F2005 was the final evolution of a series of V10 3 litre engined cars, F1 engine regs changed to 2.4 litre V8’s in 2006. 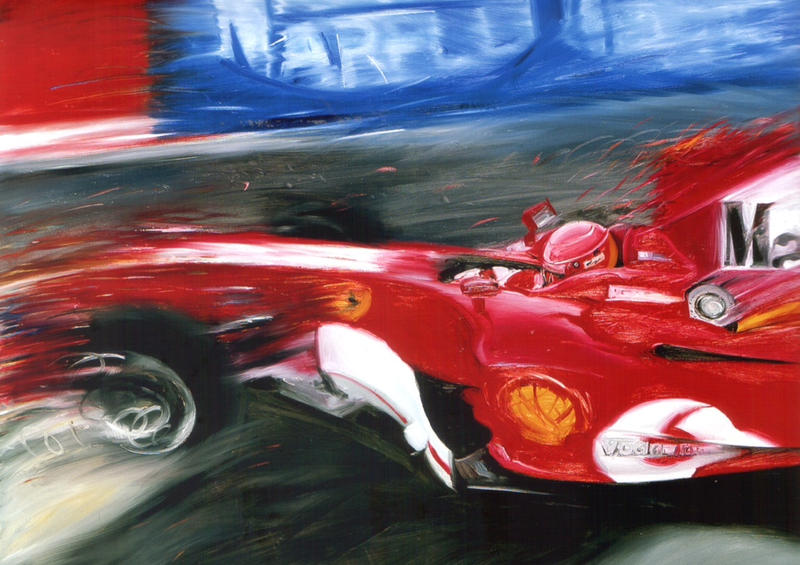 The chassis was lighter than the F2004 and the aerodynamics evolved over the previous car. The gearbox was smaller and lighter than F2004’s, made of titanium and carbon fibre. 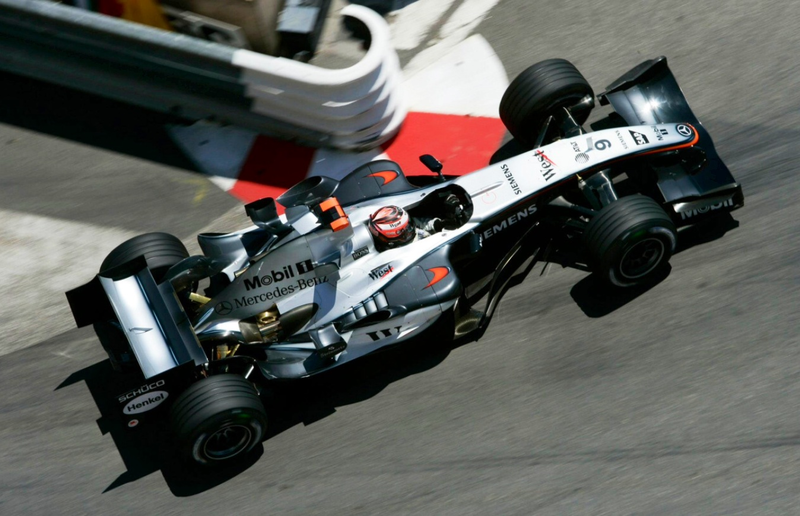 The ‘055’ engine was essentially carried over but with mounting points changed, the challenge that year to get 2 race meetings out of the engine. The rear suspension was redesigned to improve its aerodynamics and work with the cars Bridgestone tyres, and therein lay the problem of Ferrari’s season after 5 years of dominance. 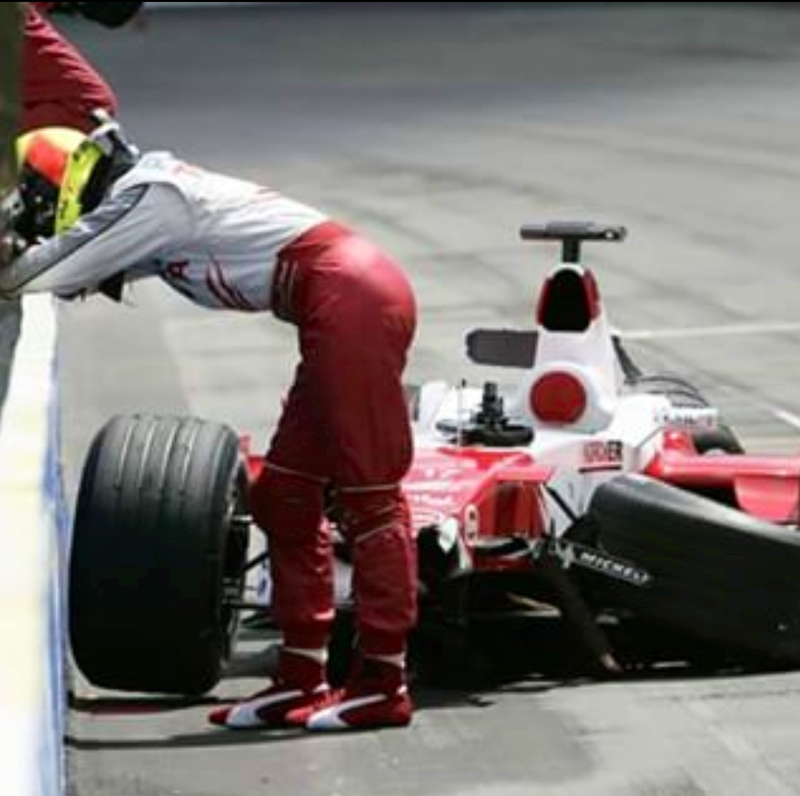 The sporting regulations for 2005 didn’t allow tyre changes at pitstops. Bridgestone didn’t master the tradeoff between race long durabilty and performance so the year was fought out amongst Michelin shod teams. 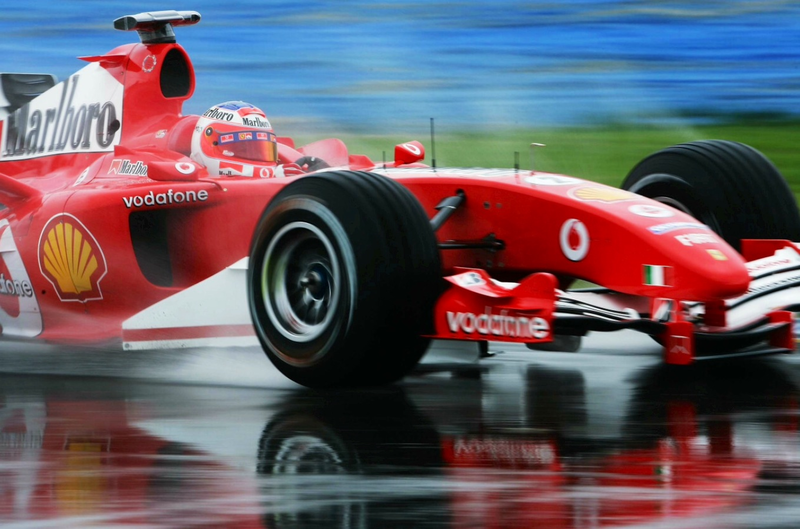 Ferrari’s only 2005 ‘win’ was at the farcical US GP at Indianapolis when the Michelin shod teams withdrew from the event, or rather completed one slow lap as the tyres failed with the loads imposed by Indy’s banking during qualifying. 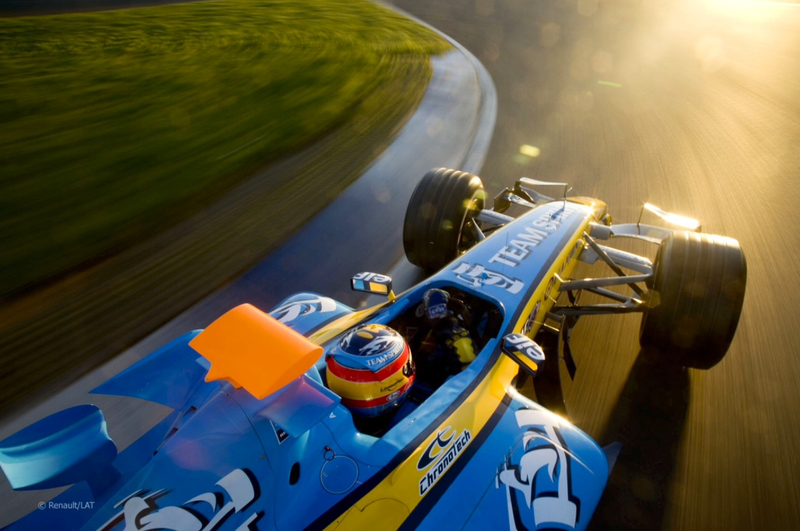 Fernando Alonso won the 2005 Drivers title and Renault the Manufacturers’ with their Renault R25, McLaren were resurgent especially in the second half of the season, Kimi Raikkonen consistently quicker than Juan Pablo Montoya in the McLaren MP4/20 Mercedes. Carbon fibre and honeycomb composite monocoque chassis, suspension by pushrods and torsion bars front and rear. Type ‘055’ 90 degree 2997cc , 4 valve normally aspirated V10 giving circa 900bhp@19000rpm. Semi-automatic 7 speed sequential gearbox. Carbon fibre brakes. Weight inclusive of fluids and driver 605Kg.